Plot: Mutta’s life has hit rock bottom. He’s been fired, blackballed from his profession and even had to move back in with his parents. 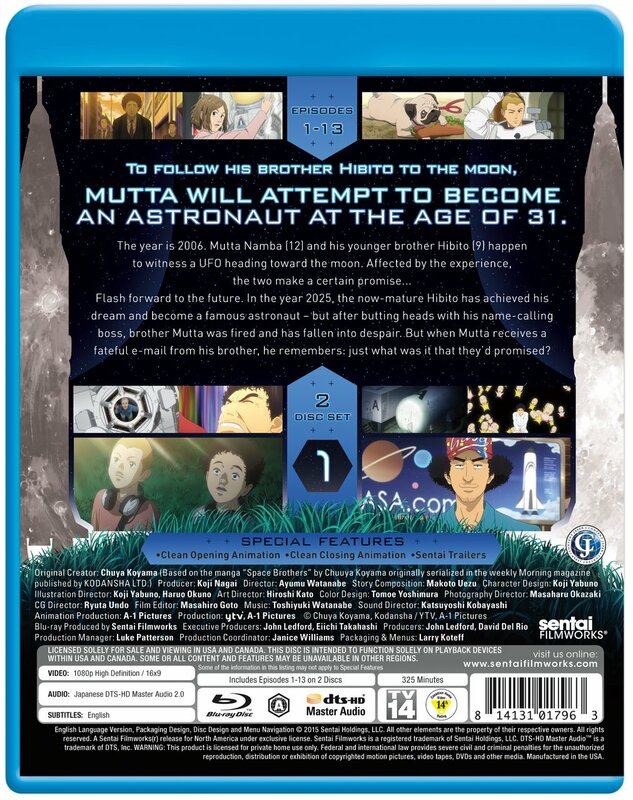 Meanwhile, the career of Mutta’s brother, Hibito, has taken off like a rocket as he trains for the job Mutta once dreamed of: becoming an astronaut. But is it ever too late to go after your dreams? Through a little coercing and a bit of covert activity, Mutta’s family and friends can get his resume on the right desk, but from that point on it’ll be up to Mutta himself. Does he have what it takes to turn his life around and put his footprint on the moon? The first step on the highway to the stars is always the hardest, and in a job where crash and burn isn’t just a euphemism, it’ll be the biggest risk Mutta’s ever taken. But with the right support team, maybe he’ll find what he needs to rekindle the spark inside him and light the biggest candle of them all! 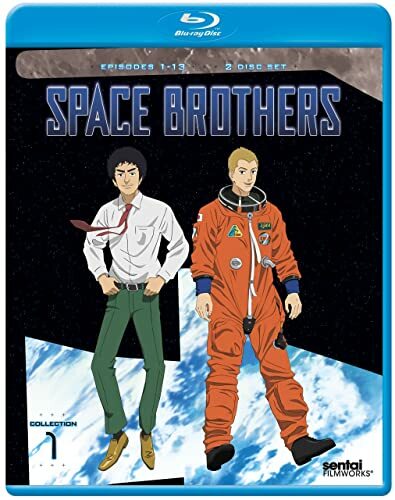 Get ready to blast off into the most magnificent tomorrow ever in SPACE BROTHERS – COLLECTION 1!